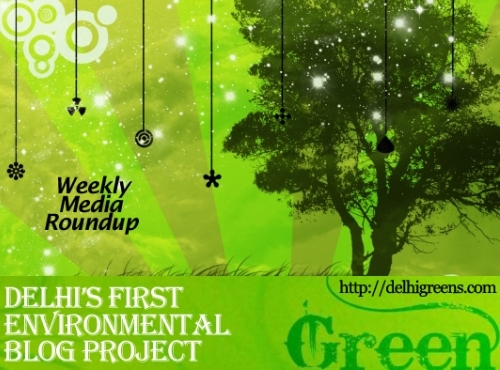 Weekly environmental news roundup from across different media networks for week 29 (between July 13 to 19) 2015. The National Green Tribunal on Monday directed the Union transport ministry to submit its views on what is contributing to air pollution in Delhi. On Monday, the NGT ordered the Union Transport Ministry to submit its views on what causes air pollution in New Delhi after the Centre said in an affidavit that vehicles are not the major factor behind it. Multi-level parking facilities in South Delhi that were supposed to be ready in time for the Commonwealth Games in 2010 are now finally nearing completion. Tightening its noose on app-based taxi aggregators including Uber and Ola, the AAP government has decided not to compromise with Delhi’s air quality and women safety by directing the companies to only run CNG-based taxis which also have GPS and license, to operate in capital. The country’s premier medical, research and teaching centre — All India Institute of Medical Sciences — is all set to pick up the broom and turn its nearly 138-acre campus into the cleanest and most hygienically kept medical establishment in the country. East Delhi’s municipal parks and everything inside them, including trees, swings and lights, are being mapped by the civic body in the first step towards improving their condition. The residential market in the National Capital Region is stuck with an estimated unsold inventory of 1.7 lakh units, while another 90,000 under-construction dwelling units are likely to be delayed for handover, a recent survey conducted by the Associated Chambers of Commerce and Industry of India has revealed. Delhi government on Friday gave nod to a pilot project for using bio-digester sewage and water treatment technology to improve sewage facility and revive a dying pond in Aya Nagar area in south-west Delhi. The Union Government has said that the river inter-linking programme was crucial for water and food security, and sought the cooperation of the States in implementing it. The Ken-Bewta link between Uttar Pradesh and Madhya Pradesh will be the first project. The Delhi government has approved the proposal of constituting the Delhi Urban Development Agency (DUDA) in each district, which will work as a central agency for the execution of developmental projects as well as maintenance of public assets. Observing that privatising and commercialising green areas will deny people re-creation and health benefits, the National Green Tribunal has directed a private banquet owner in Asiad Tower and the DDA to use part of a district park for marriage parties for not more than 10 days a month and allow the public to use it as lung space for the rest. The faulty design of the road near ISBT in Kashmere Gate is among a host of reasons to blame for frequent accidents, say Traffic Police officers. To boost farm tourism and attract more tourists from India and abroad, the Haryana Tourism Department plans to promote farm houses during the annual Surajkund International Crafts Mela, which will be held from February 1 to 15 at Surajkund in Faridabad.